Email marketing automation is one of the most cost-effective ways to market your business. You are in complete control. Marketing automation puts you in direct contact with a customer’s interests. Therefore, when choosing the best email marketing automation company, you must consider cost, features, and analytic tools. The best email marketing automation service will have the features you need, at the cost you want, and good deliverability. Therefore, dashboard features should allow you to create stunning emails. Additional features should include segmentation and analytics tracking to monitor your email campaign performance. The cost should reflect the companies’ quality relative to the industry. More expensive does not always mean better. And lastly, after all your hard work, you certainly do not want your email to end up in the spam box. Therefore, the company should have a good inbox track record. Therefore, let’s review some of the most popular email marketing automation companies. AWeber is one of the top email marketing automation companies. One of the reasons this company impress me, is because they provide extensive email marketing training tools at no cost. They have a free guide entitled, “How To Write” marketing emails. Then, once you visit the website, they offer free courses and webinars with no sign-up requirements. In addition, AWeber’s customer support is a team of email marketing experts that are available to help you 7 days a week. Another, positive aspect is that AWeber gives access to all dashboard features from day one & unlimited email marketing automation. The dashboard includes a drag and drop editor, HTML templates, autoresponders, automated campaigns, newsletters, and tagging. On the other hand, some companies limit certain features with starter plans. With AWeber, you can collect and segment subscribers using their sign-up forms. You can import lists and connect your lists to WordPress and Paypal. Also, AWeber have tools to track marketing effectiveness and email deliverability rates. If that isn’t enough, they have a suite of mobile apps for you to see your email marketing campaign performance on the go. Pricing: Starts at $19 a month for up to 500 subscribers. Free 30-day trial! ConvertKit is another email marketing automation company. They boast having “unlimited everything” plans. Therefore, all service plans include unlimited emails, automations, forms, websites, and training courses. The dashboard is highly customizable for setting up automation and audience segmentation. However, they have a higher start-up rate and less step-by-step training features. You can request a demo, but it is not provided on the website. Pricing: Starts at $29/month for up to 1,000 subscribers. 30-Day Money Back Guarantee. This marketing automation company is comparable to AWeber. GetResponse has an all-in-one marketing platform that can help grow your business. Therefore, they provide email marketing, webinars, landing pages, and marketing automation. They have drag and drop email editors, forms, autoresponders, and advanced analytics. In addition, promo landing pages are mobile-ready designs. Marketing automations includes segmentation. However, starter plans have very limited features. It does not include automation segmentation and other beneficial features. At first, it may seem like the cheaper way to go. But when compared to MailChimp, the GetResponse starter plan is less beneficial. All things considered, AWeber’s starter plan remains on top. Pricing: Starts at $15/month. Offer 1-year and 2-year subscription discount rates. Cancel anytime. Mailchimp has a forever free New Business Plan. And they allow you to send 12,000 emails per month. But before you get too excited, let me tell you the one drawback. Integrations can be tricky. You will need someone to add Mailchimp coding into you websites footer. The forever free New Business plan is a good place to start collecting new subscribers email addresses. When you register, opt-in to the free emails. Then, actually read the email marketing training tips. 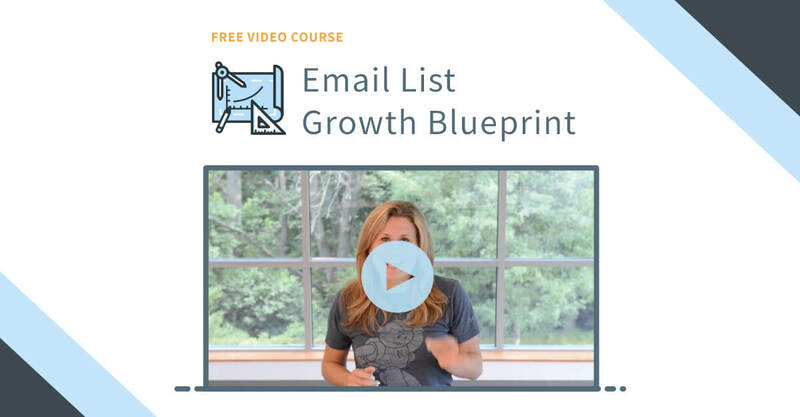 Learn how to build and grow your list and then upgrade as needed. They have a nice selection of plug and play templates to choose from. Pricing: Forever Free New Business Plan for up to 2,000 subscribers. Campaign Monitor is a professional email marketing automation company. Their dashboard has simple to use drag-and-drop features. However, they cater to professional email marketing agencies. So, their design templates can result in more professional looks than other companies. Agencies are offered special discounted price. Nevertheless, they too utilize a pay-as-you-go pricing system. Therefore, individual bloggers and website owners can benefit. A low-cost monthly fee is great while you build your list of subscribers with a professional appeal. Pricing: $9/month for up to 500 subscribers. Limited to 2,500 emails per month. Get started for free. Active Campaign is another professional email marketing company. They provide really nice website, contact form, and email address tracking features. This feature also allows you to connect your marketing automation to your blog. Therefore, you can learn your visitor’s behavior and interest. As a result, you can fine-tune marketing based upon your site tracking information. In addition, Active Campaign provide integrations with a variety of website solutions. They integrate with membership sites, landing page designer sites, and eCommerce sites. As an email marketing campaign company, they too offer various design tools to help you grow your list. Pricing: Starts at $15 per month for 500 subscribers. Unlimited emails. Categories:	Email MarketingMarket a Blog?